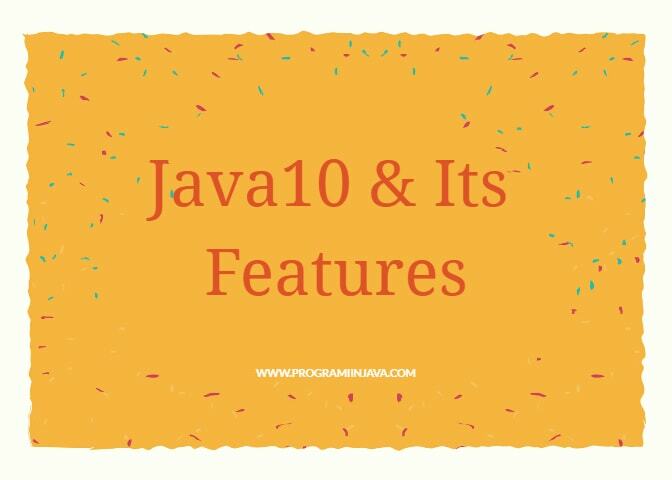 JDK 10 is officially released on 20th March 2018, as the short term release version , As you may know that , Java always release its new version on every 3 years but after java 9 , it has decided to change the version way (i.e count like 7,8,9 ) rather will use the year of release as java 2018 like this , but they finally come over and released the short term release version of java as JDK 10 , the major release will be JDK 11. 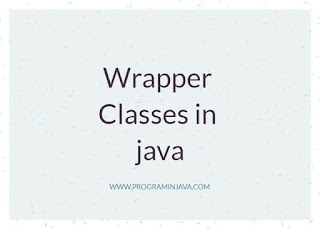 3)Application class Data sharing : Now in Java 10 , we can share application classes as well , so what is class data sharing is , actually there is a shared class in JRE where JRE dump its file called shared archive, which is used to load the library of JRE. Now in Java 10 we can added the Application class as well in shared class. 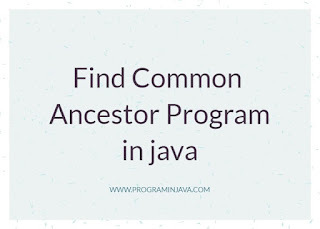 5)Consolidated JDK Forest into Single Repository : Until java 9 , Java have 9 mini repository where it maintain its library online , these are root, corba, hotspot, jaxp, jaxws, jdk, langtools, and nashorn. 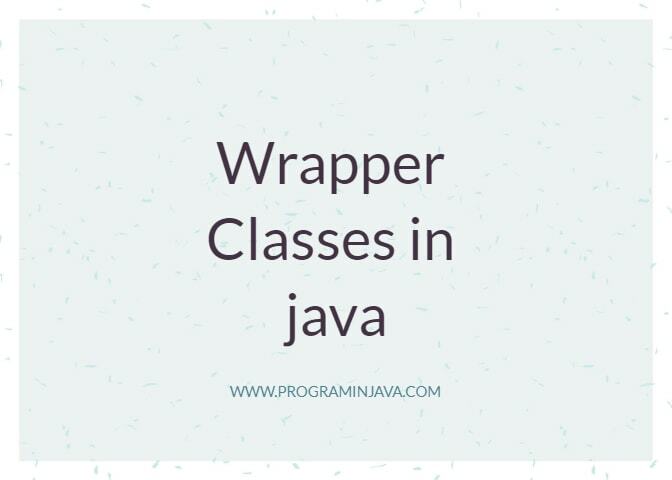 now from java 10 onward , they have consolidated all the mini repository into one single repository. 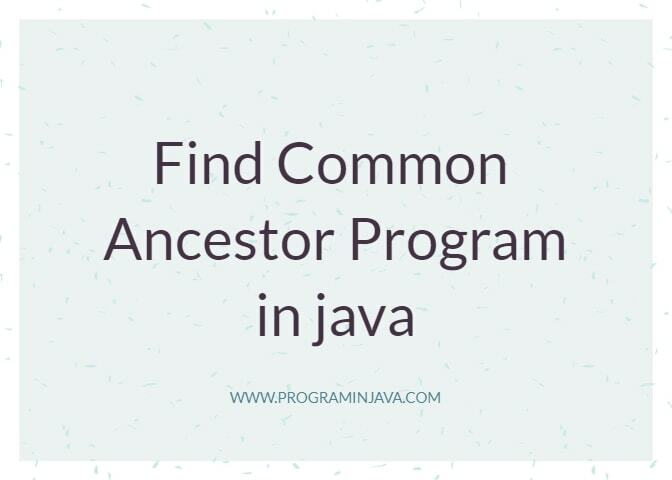 6)Heap Allocation on Alternate Memory Devices - This is one of the most important feature of java 10 as it shows the java vision of future , from java 10 onward , we can now able to use he memory devices to be used as allocation of heap memory . this will definitely going to change the perception of java for machines. 7)Shorter Start up time in JSHELL REPL. 8) API for Creating unmodifiable collection. 9) Support for multiples stylesheet in javadocs. 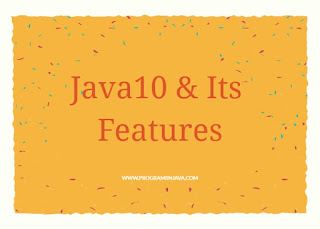 These are the Features of Java 10 , but remember java 10 is a short term release only . If you have any doubts on this please let me know , i will try my best to resolve . 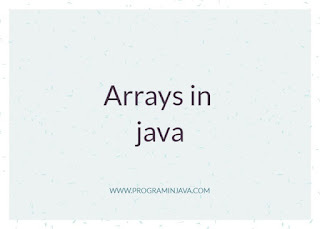 Another pretty important component in Java programming is the use of Arrays. Like variables and loops, most of the program you will write will make use of them. An Array can be defined as an data type that holds a collection of of a similar data type. with having consecutive memory allocation. Create 30 separate age variables (age1, age2… age30) and define values for each of them one by one, before actually calculating the average. This is very inefficient, tedious, and will make the code unnecessarily lengthy. Or you could store all thirty age values into a single Integer array, which you could call something like ‘Age’. Not only will this be less stressful, it also makes it easier to access data through the array index. 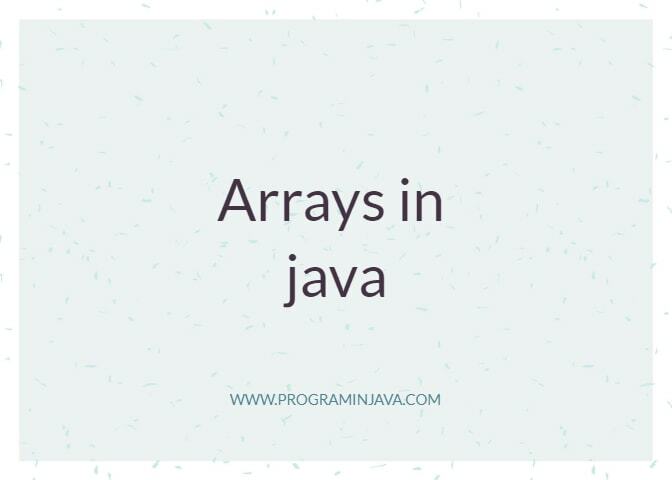 Arrays in Java are index-based i.e. elements stored in array are accessed through their index values. And array indices also start from 0. Therefore, the first element is stored at 0, the second at 1, etc. Is there a con to arrays? The major disadvantage to arrays is that they can only contain a fixed number of elements, which cannot be changed at runtime. You need to declare the size of the array at the compile time only. Array and variable declaration have the same basic principle. You state the data type you want to use with the array (int, char, float, etc. ), you give the array a name and save the value into it. The main difference is the addition of square brackets (), which is basically the universal coding symbol for arrays. You can see that it looks like a basic integer variable, with the addition of the square brackets to the end of variable name. Note, the square bracket can be added to the back of the data type instead of the variable name, like so this is also valid declaration. According to the code above, this array has a limit of five values. It will not accept or recognise any more values after the fifth. So now we’ve created an integer array called ‘arrayInt’, that can hold up to five integer values. Now that we’ve set the array, the system will assign default values of zero to all array positions. Note, you don’t have to specify the number in the square bracket. The number of values you set will automatically be the set as the array limit. If there’s anything that arrays work well with, it’s loops. In fact, any program that uses arrays would most likely make use of loops, and loops can also be used interchangeably with arrays. I enlarged my output table to show all the values. You can do this by holding your cursor over the output window until you see the arrow pointing up and down, then drag up. So far, the arrays we’ve been looking at are one-dimensional (they can only take one column of data). But you can set up arrays that hold data in rows and columns; kind of like a matrix. The first square bracket shows the number of rows in the array while the second shows the number of columns. The above array has four rows and four columns. The first row is 0, so every value is assigned to that row. The columns count from 0 to 3, which is four values. To fill the second row, you would have to change the value in the first brackets from 0 to 1, leaving the column values the same. Now normally, before we printed out every value in an array, we would use a for loop. That is the same case in multi-dimensional array, except in this case, you’ll need two for loops. One for the rows, and the other for columns.